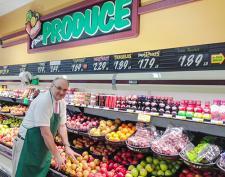 Ken's has the freshest and finest selection of fruits and vegetables, 100% Guaranteed, to your family's table. The season's best produce for your taste buds. For all your produce needs, please see Owen.